Behind the slightly catastrophic title of one of this morning’s break-up sessions stood a very interesting problematic. Indeed, the panel conducted by Vineet Rai, an equity investor specialized in microfinance investments, was set to address three questions that are fundamental to the understanding and future of the microfinance industry: Where had the funding drought that affected MFIs following the October 2010 crisis come from? And most importantly: How did we deal with it, and what lies ahead in terms of funding for micro-credit providers? These questions were successively taken on by six high-rolling panelists: (1) CS Ghosh, the Chairman and Managing director of Bhandhan Services, (2) Dr. Alok Pande, Director of the Department of Financial services at the Ministry of Finance, (3) S K V Srinivasan, ED of IDBI Bank, (4) P K Saha, Chief General Manager of SIDBI, (5) S Sengupta, CEO of Arohan Financial Services and (6) Prashant Thakkar, Global Business Head, Microfinance, at Standard Chartered Bank. S K V Srinivasan summarized in a very interesting way some of the factors that had led to the crisis: During the pre-crisis years, investors expecting 4 to 5% returns on investment kept flushing money into the system. MFIs, to follow this growth trend, gave in to unreasonable lending practices, and these two elements combined eventually led to the apparition (and the bursting) of an MFI bubble in October 2010. As a result of the bubble, the trust investors had been putting in the microfinance sector suddenly collapsed, thus leading to the investment drought that has been observed over the last two years. One main objective of any post-crisis measure should then be to try and bridge this trust gap. While every panelist would recognize the failures of the pre-crisis system, as well as the existence of this trust deficit, no actor would however accept to take responsibility for his own actions in the pre-crisis years, and this is why these types of discussions, when held in conference settings, often don’t satisfy your hunger for answers, for they rarely go beyond what is already common knowledge. SIDBI in particular, an actor that took huge credit in the growth of the sector pre-2010 seems now unable to openly talk about what could have been differently. 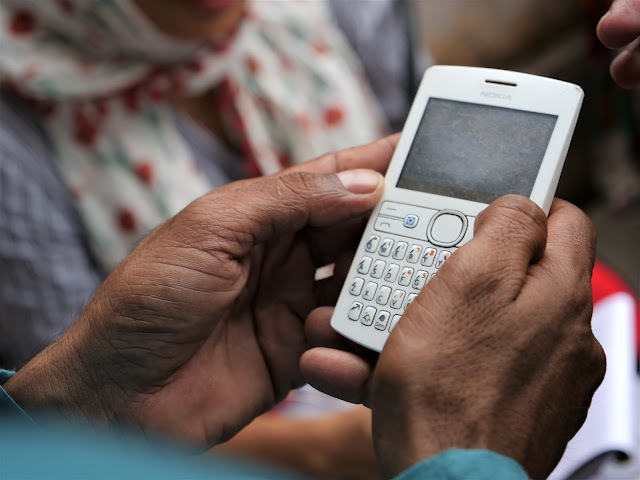 Following this idea of the need to reestablish the trust that used to exist between investors and MFIs, both C S Ghosh and Prashant Thakkar highlighted the imperious need for communication lines to be strengthened between investors and MFIs. Visits to the field, conversations about each own interests, any initiative can be good as long as the objective is for the MFI to know its funder, and for the investor to know its venture! And thanks to such initiatives, it appears that Bhandhan has actually been doing better than others in terms of funding, while Standard Chartered Bank has started investing large amounts again in the sector. Also, many mentions have been made of the need to regulate lending so that it would be “reasonable”. Both Dr. Alok Pande, the Ministry of Finance representative, and P K Saha, SIDBI’s representative, emphasized the measures taken to put together a regulatory framework for the microfinance industry, implementing a cap on lending rates and margins, writing up a “code of conduct”, and finally drafting the Microfinance Bill. These seem fundamental indeed in order to get back to a sustainable growth rate and make sure that the safeguards are in place, but everyone reading this blog knows (and Dr.Pande actually had the complete honesty to recognize) that the Microfinance Bill for now still exists only as a project, very contested by diverse industry actors, and that will still take (a long) time to be enforced. This si the reason why Dr. Pande, representing the GoI, spent a considerable time trying to reason the industry actors present to make them understand that they first could only be heard if they expressed their view in a formal way by communicating it to official bodies, and second that we all needed to be reasonable, especially since a regulatory framework is so urgent if we want to prove to investors that the system has been cleansed and strengthened. What will be the future trends in terms of funding? (2) Investments from large institutional agents such as IFC or ADB will come replace the large philanthropic grants that marked the first years of existence of microfinance. Once again, the questions addressed during this session were fundamental for anyone trying to understand the macro situation of MFIs today, and what their growth could be in the future. However, and as is often the case with questions that are at the same time so heavily political and dealing with “big-money” issues that are usually left undiscussed in public settings, the responses given were consensual at best, and did not reveal much in terms of the current or future funding situation of MFIs. Yes it is most of the poor people are dissatisfied from the financial industry. They are not having enough financial services training and experience that why one of the reason for poor are not fit for the industry. Maximum percent of people dislike this financial industry, their are plenty of reasons behinds all this.